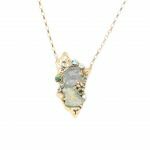 Utterly gorgeous and vibrant necklace made up of a rainbow of natural gemstones. 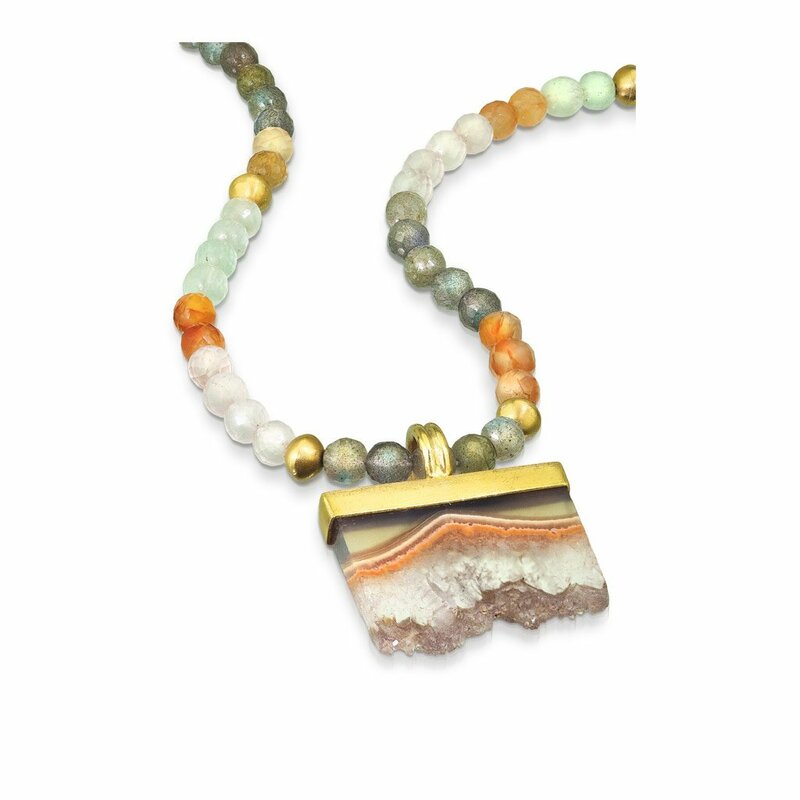 The hero Agate druzy crystal has been generously and solidly capped with 22k gold, and hangs on 16″ of carnelian, labradorite, agate and 22k gold beads. 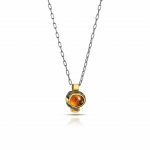 Sumptuous and one of a kind design to be treasured.